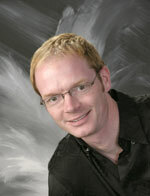 As a member of ProShow since 2003, Todd has been an excellent addition to our solid group of professionals. A true passion for the love of entertaining is what drives the tremendous success he has earned. His vast knowledge of all genres of music and the ability to read a crowd is a huge key to creating the perfect event for every client. Todd’s high referral rating and positive references, are simply a tribute to his sincerity in treating every event as if it were his own. With over 10 years experience in the Disc Jockey field, Todd has made his mark, performing across the country, including a recent stint at a high-class celebrity after-party in Los Angeles, California. "Thanks for all your excellent work in providing music, setting up our slide show & MC’ing at our wedding reception. We were so happy with how smoothly the night transitioned from one event to the next...thanks for such professional work! We appreciate your attention to detail! Todd did an amazing job with the music throughout the evening. He really knows how to feel what the audience wants - it was high energy and enthusiasm on the floor the whole evening. Thank you again for being so accommodating and going to such effort to give us what we wanted and help the evening go so smoothly. Todd did an amazing job and the music was great! I don’t think the night could have gone better than it did - thanks!" "We just wanted to say 'thanks' for all of your hard work to help make our wedding a success. Todd did an absolutely phenomenal job and helped everything go so smoothly. We have had many people compliment us on our DJ and we owe it all to you. We will gladly pass on ProShow to our friends and family." "Thanks a ton! We really enjoyed working with you and will certainly recommend you to our friends in the future! Thanks!" "Well, the wedding went perfect! Todd did a great job and I could not have asked for better! Thank you ProShow for all your and Todd’s help over the last year!"